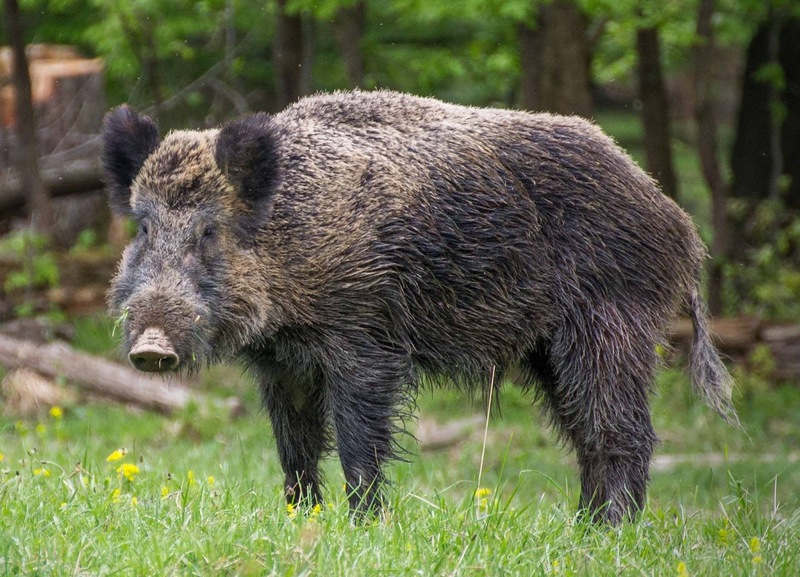 Central European boar Sus scrofa scrofa, copyright Valentin Panzirsch. The Suinae are a group of pigs including all living members of the family. They are united by elongation of the skull, complication of the cheek teeth, and the development of canine tusks (Cooke & Wilkinson 1978). [CW78] Cooke, H. B. S., & A. F. Wilkinson. 1978. Suidae and Tayassuidae. In: Maglio, V. J., & H. B. S. Cooke (eds) Evolution of African Mammals pp. 435–482. Harvard University Press: Cambridge (Massachusetts). [I92] Iwahashi, J. (ed.) 1992. Reddo Deeta Animaruzu: a pictorial of Japanese fauna facing extinction. JICC: Tokyo. [K92] Krylov, M. V. 1992. The origin of heteroxeny in Sporozoa. Parazitologiya 26 (5): 361–368. [M76] Masui, M. 1976. Nihon no Doobutsu. Kogakukan: Tokyo. [M89] Modigliani, E. 1889. Appunti intorno ai mammiferi dell’isola Nias. Annali del Museo Civico di Storia Naturale di Genova, Serie 2a, 7: 238–245. [P04] Popov, V. V. 2004. Pliocene small mammals (Mammalia, Lipotyphla, Chiroptera, Lagomorpha, Rodentia) from Muselievo (north Bulgaria). Geodiversitas 26 (3): 403–491. [S66] Sclater, P. L. 1866. Notice of recent additions to the Society’s menagerie. Proceedings of the Zoological Society of London 1866: 418–419.